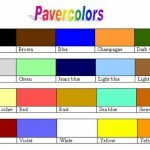 Pavercolor is a powdered pigment that adds colour to transparent Paverpol. Powders can be mixed together to make any colour you want. 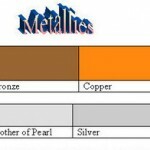 There are also 6 Metallic Colours available in the Pavercolor Range: Mother of Pearl, Silver, Bronze, Antique Gold ,Copper, Gold. The Pavercolor metallics will lose their lustre when mixed with Paverpol. The lustre can be retained by brushing the dried piece of work with the Pavercolor metallic, mixed with Josefine gloss varnish. It is then a proper outdoor paint that can be used for painting, brushing and making patinas. 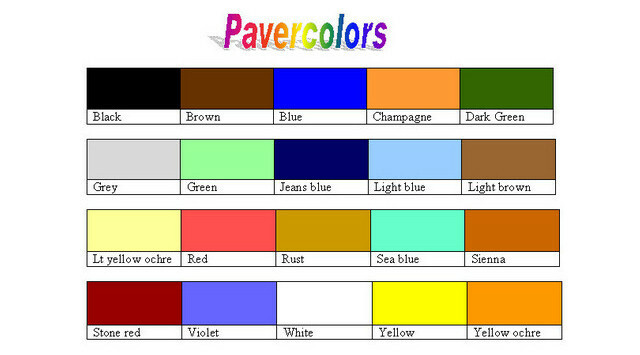 All Pavercolors can also be simply mixed with water to create water paint. However, this paint can only be used for indoor pieces of work. Magenta, purple, yellow, scarlet red, bamboo green need to be mixed differently than the other colours. They are also a lot stronger pigment and need less than Pavercolor. It is best to put the colour into the container you are going to put the Paverpol in and then add a teaspoon of PAVERPOL not water and mix with a brush to a paste then add the rest of your Paverpol and mix it through then add the 20mls of water to 500gm of Paverpol.